Exhibition Drive is one of the most popular tracks within the park. Originally a section of the tramline used for transporting supplies to the Upper Nihotupu Dam site from near Lopdell House in Titirangi. The track is now a flat gravel service road closed to public vehicles. In the winter months it is a popular place for jogging and group walking. The lack of vehicles and wide flat surface also makes for a popular family cycling spot. 3.2 km 45 minutes. (Source). Considering that the sign marking the entrance to Exhibition Drive is about the size of a greeting card it’s amazing how crazy busy this track is! At 2.30pm on the Monday afternoon when I arrived there were already 5 cars at the track entrance and as I pulled into the car park (which can easily accommodate a dozen cars without any creative parking) a young man on a scooter (of the motorised variety) followed in behind me. He parked up and set off up the track before I had even come close to organizing myself, in fact I saw him again on his way back down before I’d even hit the 1k mark (granted he was young, very fit looking and his long legs were going at full tilt – but still .. ). 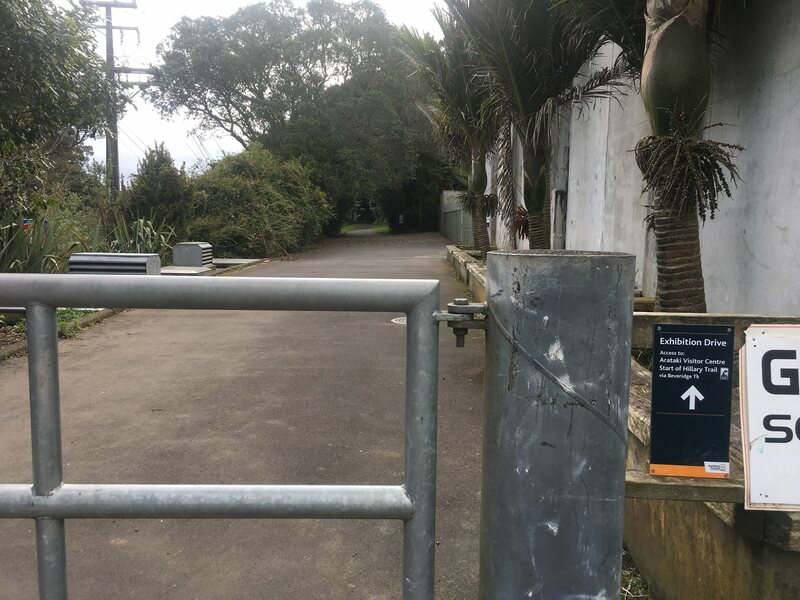 Exhibition Drive is located at the junction of Scenic Drive and Woodlands Park Road and starts next to the disused Nihotupu Filter Station. You could look for the aforementioned tiny sign but it would be quicker if you just walk towards the large gate and follow the driveway past the Filter Station all the way to Mackies Rest. There are a number of gates along the way the first of which is at the 1.5 km mark. The second gate is just before the 2km mark and is the only point where the continuing trail is not immediately obvious especially if there are a number of cars parked there, however if you continue straight ahead you’ll reach another gate approximately 50 metres ahead. 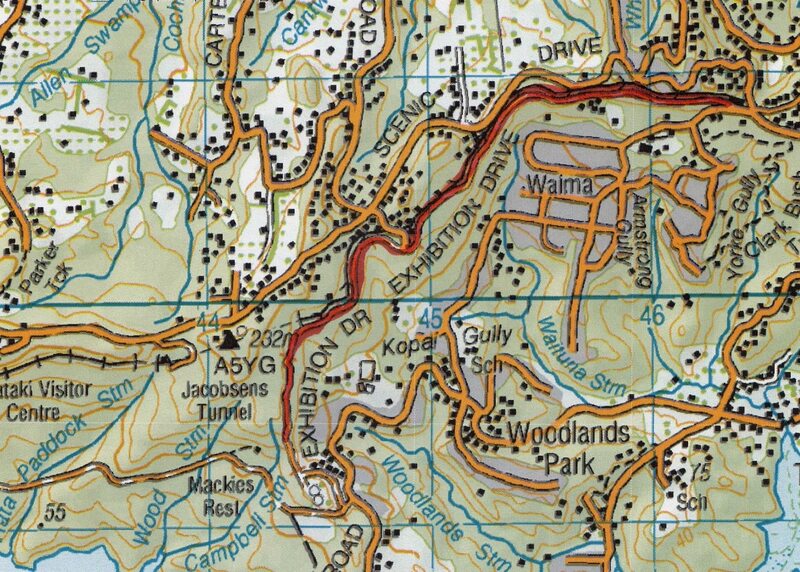 At that point you’ve traversed 2/3rd of the trail and although the fourth (and final gate) marks the end of the trail, you’ll need to head around the corner for another 7m’s or so to reach Mackies Rest (which is located near the entrance to the Beveridge Track). Although the entire 3.2km is a very family friendly surface (especially if the kids are on bikes) mine would find it boring. After all, Exhibition Drive isn’t a “trail” as such and my two would certainly voice their disappointment to all and sundry, after all it’s actually just a road that has been closed to traffic. 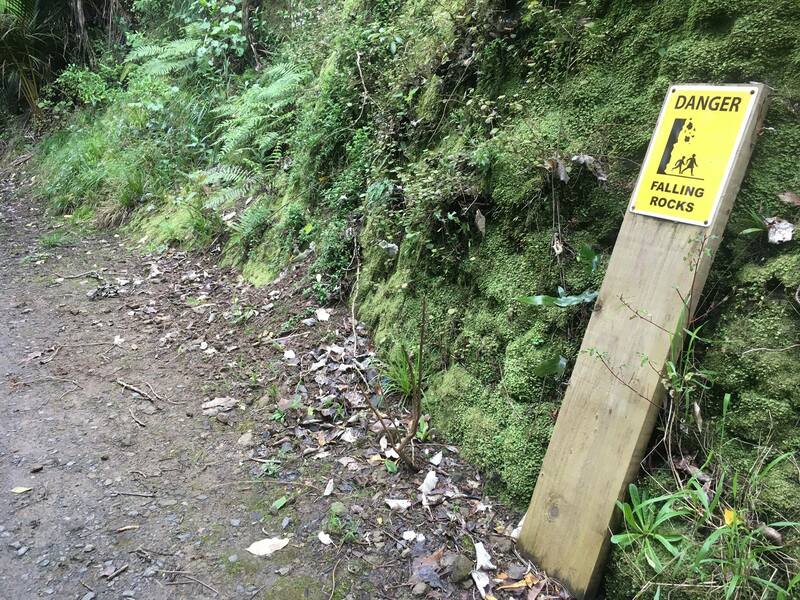 Granted the surface is bumpier than most roads (but in saying that, it’s far superior to the roads leading out to Whatipu) and the fact that rocks could fall on your head makes it a tad more adventurous than your usual road run/walk, but my knees will attest it’s basically the same. I guess it’s a good option if you want to trail run but don’t like dirt ..
Or you like to see lots of other people when you run. I am neither of those things BUT last week I completed every one of my run sessions at Exhibition Drive. It’s easy to get to (there are no back country roads to traverse), the parking is good, it’s relatively flat and it’s a decent length (6.4 km out and back) with the ability to increase it’s length (to at least 10 km out and back) by just continuing to the end of the Beveridge trail and longer if you continue up driveway to reach the Arataki Visitor Center. 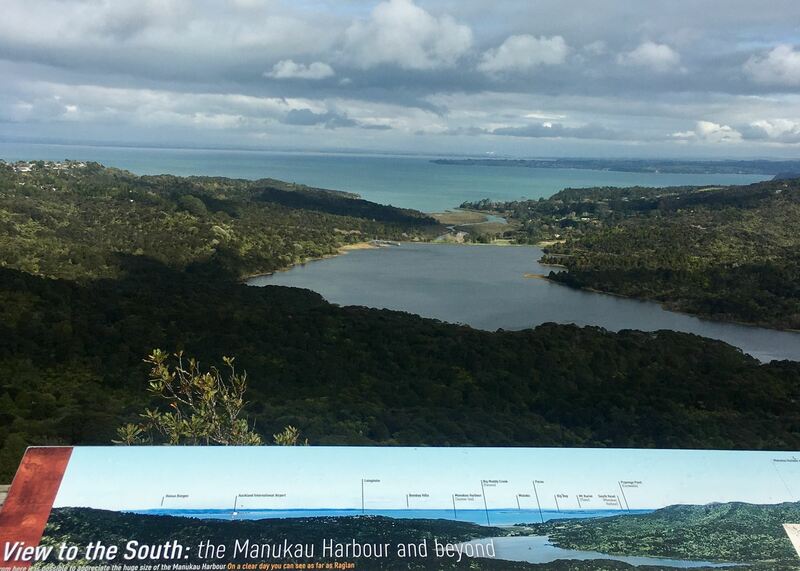 (11 km out and back) In my opinion the viewing deck at the Visitor Centre makes the additional mileage worth it. Yes in front of the Filter Station. Yes BUT my kids would moan for the entire 3.2km because it’s “just a road”.